Kelly’s Directory of Norfolk shows that the Postmaster was one George Mitchell in 1900. He appears in the 1911 Census as a Grocer, living in Town Street where the first two photos above were taken. 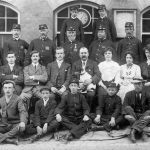 Previously in 1891 and 1901 he was living in Town Street too – recorded as a Grocer & Draper. 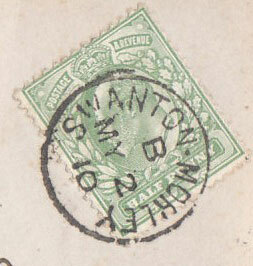 There is a second post office which may have come later. I cannot locate the second building in the present day Google Maps. Maybe someone recognises it ? In the 1911 Census the Post Office Two (the square building) is situated on Greengate and the Sub Postmaster was Ellis George Childerhouse. 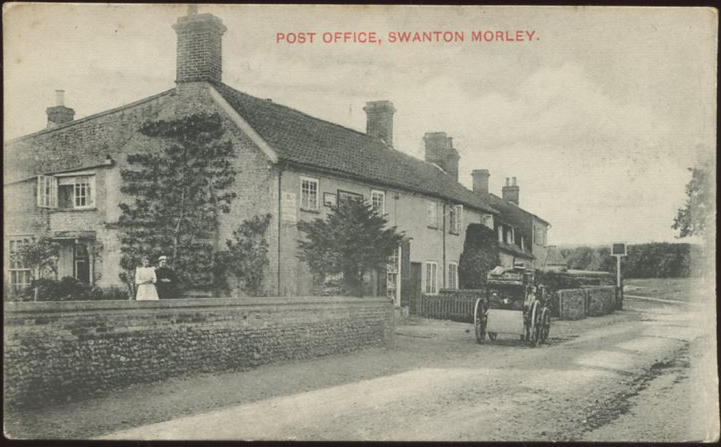 Swanton Morley is quite a long town and stretches along the main road which is Greengate (and then on into Town Street via Gooseberry Hill) so maybe it makes sense that there was a Post Office at each end. Or perhaps we’re at the point where one replaced the other. 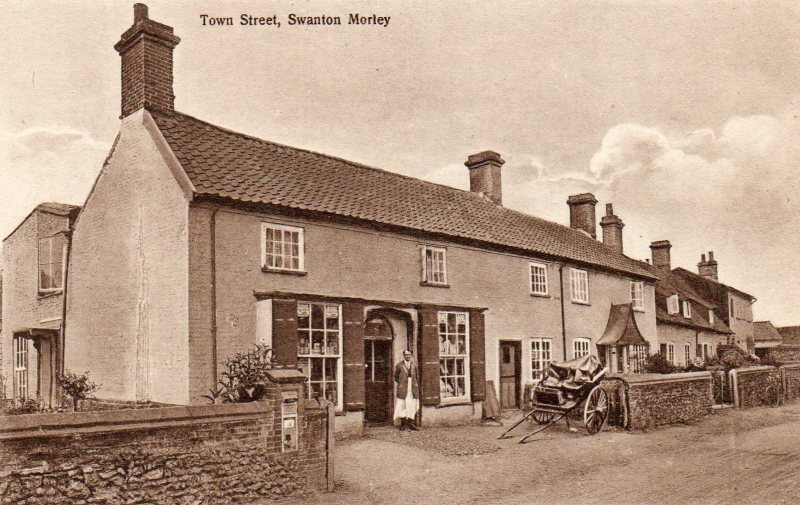 I feel this second one may have been lost to development as I have driven through Swanton Morley many times and I do not recognise it. 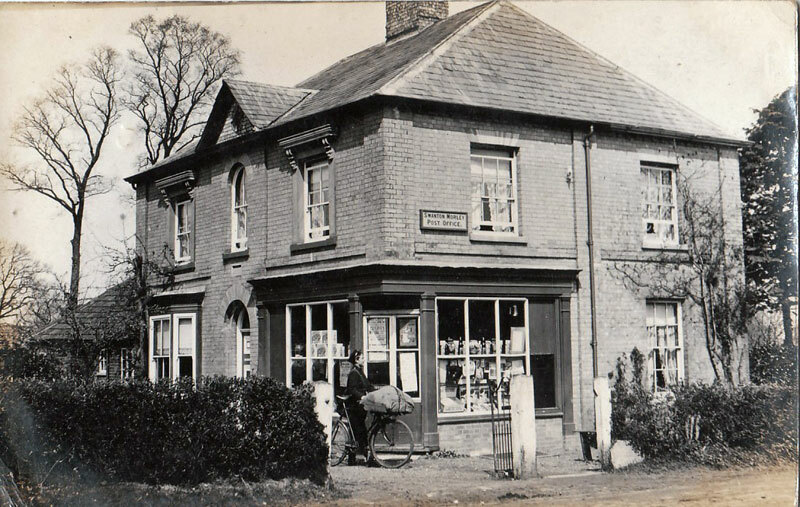 I recognise it , it was on the left as you approached from Dereham, before proceeding a little further and then turning round the corner to the church, old primary school (now a community hall?) next to the Papermaker’s arms, which was by Morris’s garage – used by everybody. Then up the hill to the base. Immediately by the side of the Post office whose wood-work I am sure was painted blue in the 1960’s was a row of early (?) Victorian cottages with long front gardens. Perhaps it has become a private house now. 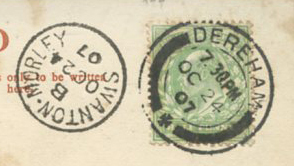 So you are saying it was located very near the first post office ?